I love markets and all they have to offer.....my favourite market in Melbourne is Camberwell market (Sunday mornings).....oh the bargains are to die for and the stall holders so colourful. 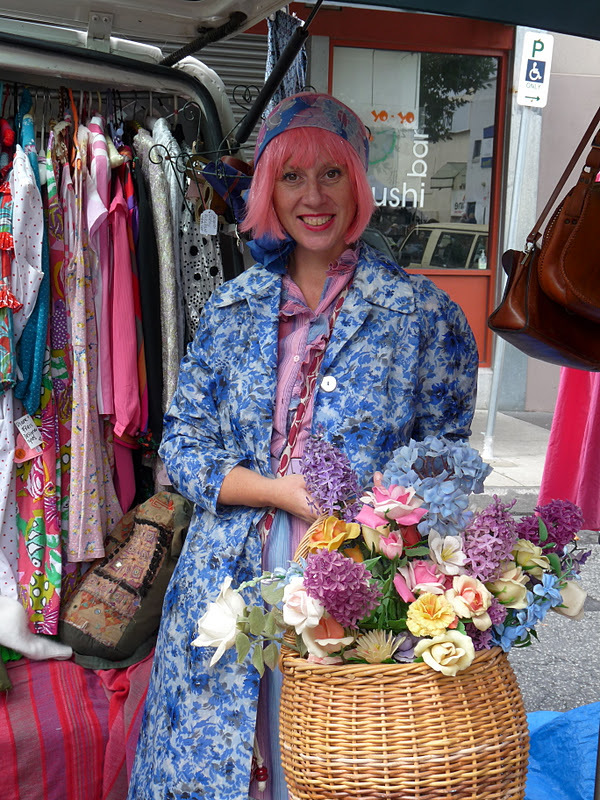 This vintage queen is Andrea Joy she has a great eye for colour and vintage finds. Her blogspot...... enjoyitvintagejoy.blogspot.com has interesting eye candy for the vintage enthusiast.